Director CHANG recently completed production on Fatal Countdown: Reset in Busan. A Korea-China co-production, the film is a science fiction tale of which executive producer is Jackie CHAN. After three months, filming ended on February 27th. 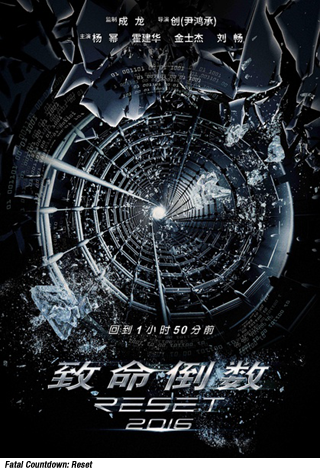 The film stars Chinese actress YANG Mi, who recently starred in the Tiny Times (2013-15) series and The Witness, AHN Sang-hoon’s Chinese remake of his own Korean thriller Blind (2011), and Taiwanese performer Wallace HUO, from the Chinese hit Swordsman. YANG features as a scientist and single mother who travels back to the past to retrieve her abducted son. Director CHANG, who debuted with the horror Death Bell in 2008, scored a hit with the thriller The Target, with RYU Seung-ryong, in 2014. The film drew 2.84 million admissions (USD 18.46 million) in Korea and was also invited to the Midnight lineup of the Cannes Film Festival. Prior to shooting Fatal Countdown: Reset, he also made the new drama Canola, with YOUN Yuh-jung and KIM Go-eun, which is expected to bow in Korea in May. Now in post-production, Fatal Countdown: Reset will complete CG and 3D work before being unveiled to audiences at some point in the second half of 2016.